Concerns over Brexit are choking off South West SME manufacturers’ export growth as they focus on stabilising their current position, according to a new survey. Fears over the impact of the UK leaving the EU on the sector are combining with an anticipated overall slowdown in sales growth and a struggle to recruit more staff in the short term, the South West Manufacturing Barometer reveals. As a result, many manufacturers across the region are focused on consolidation rather than expansion. However, there is also widespread optimism that the outlook will improve over the medium term as manufacturers look for new opportunities. 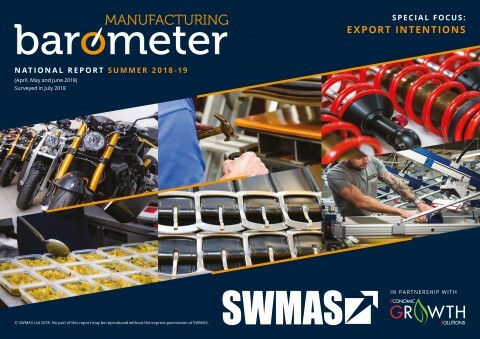 The Barometer forms part of the UK’s largest and widest-ranging survey of the SME manufacturing sector and is conducted by SWMAS, part of the business improvement and people development consultancy Exelin Group. It follows comments by high-profile executives at a number of the region’s largest manufacturers, including aerospace giants Airbus and Rolls-Royce in Bristol and car makers Honda and BMW in Swindon, that a ‘no-deal’ Brexit would devastate the sector and could lead to future investment taking place outside the UK. Honda, in particular, warned that its ‘just-in-time’ manufacturing method – where parts are delivered in small batches straight to its production lines – would be thrown into chaos if a ‘hard’ Brexit led to import delays. The South West Manufacturing Barometer seeks the views of the sector’s senior decision makers on their aspirations, plans and fears, as well as gauging their overall business performance over the last six months. The 67% of respondents already selling overseas and the 9% that plan to export reported a combined anticipated average increase in turnover of just 1.4% over the coming year against the national average of 2.1%. The same group also predicts their exports will increase, on average, by 10% between now and the summer of 2020, compared to the national figure of 12%. 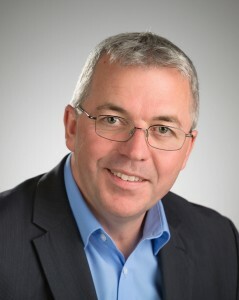 Exelin Group CEO Simon Howes, pictured, said: “The picture emerging from our research is of a sector focused on consolidating what they already have for at least the next 12 months, by when we will finally know what a post-Brexit UK will look like. “While South West manufacturers’ cautiousness about export growth amidst the current chaos is no shock, it is encouraging to see their ambitions for 2020. The Barometer also revealed slow growth when it asked South West SME manufacturers to reflect on their performance in the last six months. According to the Barometer, while 57% of manufacturers reported an increase in sales over the past six months, this was the lowest figure recorded since the third quarter of 2016. Firms investing in new machinery and premises dropped to 42%, compared to the previous quarter’s 49% – a decline broadly in line with the national picture. And while 44% of South West manufacturers increased their headcount, this was partly offset by more than a fifth who reduced staffing, sending overall recruitment numbers for the region back to levels not seen since the middle of 2016. Worryingly, this trend looks set to continue, with the percentage of manufacturers looking to recruit between now and the end of the year dropping to 49%, well below last quarter’s 58%. Mr Howes added: “Brexit is clearly foremost in the minds of South West manufacturers. Many of the region’s firms are adopting a strategy of consolidating and maximising their current opportunities while making the most of this uncertain time to invest in capital equipment, staff development and new products, ready to take on the challenge – and opportunities – once the UK finally leaves the EU. “The Barometer highlights a medium-term view of growth centred on a difficult ride for the next year as we navigate the choppy waters of Brexit. The South West’s manufacturing represents 11% of the region’s economy – slightly higher than the national average of 10% – with 12,180 companies employing 247,000 people between them.